It’s difficult to believe I’ve been doing this solo thing for so long, but as a thoughtful reader just reminded me, Dec. 29 marks the third anniversary of the KrebsOnSecurity.com blog! This past year, KrebsOnSecurity featured nearly 200 blog posts, entries that have generated some 5,700 reader comments. Reader feedback and comments add tremendous value to this site, and are frequently the source of inspiration for future blog posts. Thank you for sharing your knowledge and experience with the rest of us! Readers sometimes ask why I am not writing about the latest report or story-du-jour. The short answer is that this is precisely why I remain an independent investigative reporter: To be able to focus on subjects and topics that few others are examining, and to do original reporting. That will continue to be my goal going into 2013. Some readers have been especially generous: So far this year KrebsOnSecurity.com has received more than 40 donations via the PayPal Donate! button in the sidebar. Several readers (particularly Aleksey and Alek) have been extremely generous with their time in helping with professional translations of certain Russian texts. My work in 2012 involved numerous public speaking engagements, including talks and/or keynotes in Halifax, Qatar, Alabama, California, Connecticut, Illinois, New Hampshire, New York, Oregon and Pennsylvania. I look forward to continuing my investigative reporting on cybercrime, cybersecurity, and the underground economy. Most of all, I look forward to your continued readership and support. Thank you, Happy Holidays, and a very Happy New Year to all. This entry was posted on Friday, December 28th, 2012 at 10:47 am	and is filed under Other. You can follow any comments to this entry through the RSS 2.0 feed. Both comments and pings are currently closed. 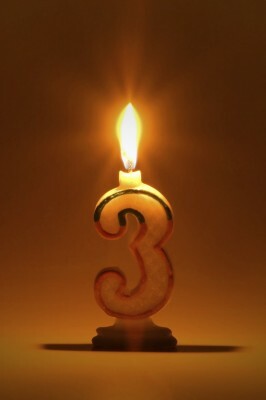 Happy Third Birthday to the best security blogger on the internet! Keep up the great work for which we are all very grateful! Brian, do you make anything off this site directly or do you earn your living off conferences you are invited to ? Just wondering..
Any chance of adding Russia to your list of “public speaking”? Congratulations. You are the best. Thanks for continuing your outstanding investigations and reporting.